This program begins the journey for high school students to be involved in the rewarding career as a diesel technician. Paid intern programs, on the job training and extended education with Salt Lake Community College to build a career to maintain and service the diesel industry. This program is piloted by government, educational leaders from Jordan and Canyon School Districts and Salt Lake Community College. Today’s diesel engines are manufactured using the latest in engineering, technology, and design applications. 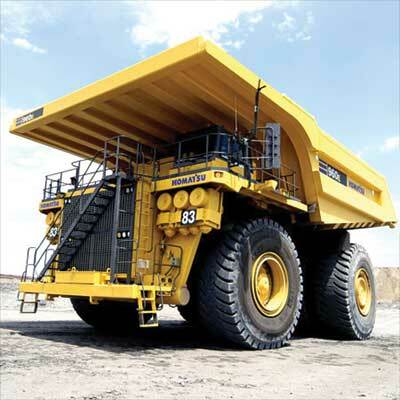 Modern diesel engines and equipment require the use of state-of-the-art technology and tools. 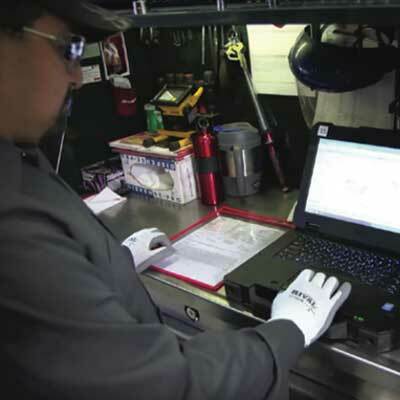 Computers, tablets, telematics, and advanced diagnostic tools have revolutionized the industry and empowered technicians to troubleshoot with ease and perform at higher levels. The modern diesel engine center and facilities are clean, inviting and welcoming. They are built to provide the best-in-class service and are geared to deliver the most efficient, effective, high-quality equipment repairs, all while providing comfortable environments where employees can work and thrive. Original Equipment Manufacturers (OEM) are constantly improving and re-engineering equipment to meet the continually changing climate of the industry. With these changes comes the need for continuous learning and innovation on the service and support side of the business. 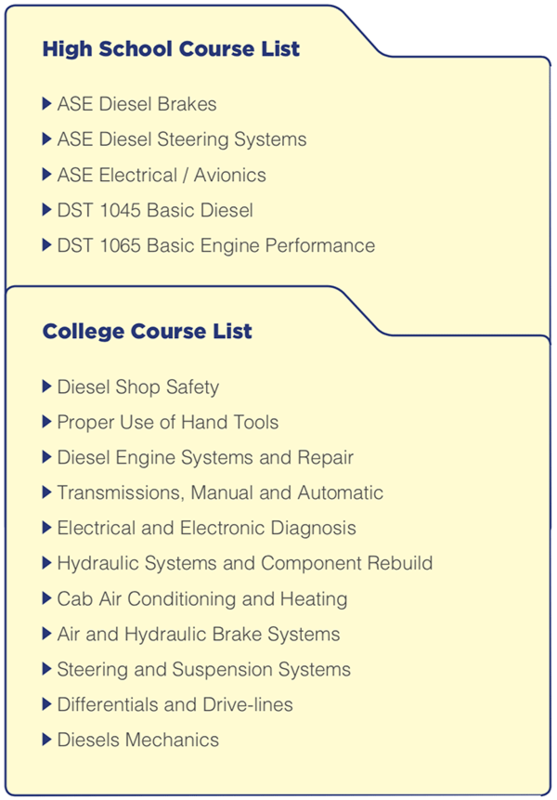 It is imperative that diesel technicians stay up-to-date with current industry practices through on-the-job training, classroom, and online courses. This program begins the journey for your high school student to gain the skills they need for a rewarding career as a diesel technician. Paid intern programs, on the job training, and extended education through the tech school of their choice provides exciting, real-world experiences that will prepare them to excel in the diesel industry. High school juniors and seniors will get a headstart gaining valuable skills that articulate into higher education programs, allowing them to accelerate finishing their certification at the state institution of their choice.